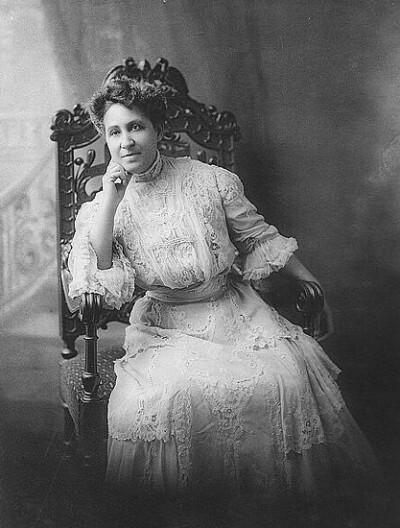 Mary Church Terrell. Courtesy of the Library of Congress, LC-USZ62-5472297500102 Biog. File, Terrell, Mary, Church. In 1904 Berlin, Germany, Mary Church Terrell stood courageously before her German audience and told them that they were looking at a “rare, colored bird.” Terrell is best remembered today for her career in the U.S. as an early civil rights advocate, an educator, a lecturer on rights for women and African Americans, and the daughter of the first black millionaire family of the South. Born in the year of the Emancipation Proclamation, Terrell was part of a pioneering generation of African American women. They earned college degrees, sought professional careers, challenged black male leadership on the basis of gender discrimination, and became a political force with the establishment of the black women’s club movement. In the late nineteenth and early twentieth centuries, Europe was an important site for African American activists: such prominent figures as W.E.B. Du Bois, Ida B. Wells, Booker T. Washington, and Carter G. Woodson studied and gave lectures throughout Europe. Terrell’s connection to Europe dates back to 1888-1890 when she studied abroad in France, Germany, and Italy to learn about European cultures and languages. While the turn of the twentieth century brought new opportunities, Jim Crow discrimination laws prevented many African Americans from taking full advantage of them. For Terrell, Europe served as a personal refuge from America’s racially hostile environment, and as a place where she would later develop relationships with white American and European women activists involved in the early transnational feminist movement. Callahan, Noaquia. “A Rare Colored Bird: Mary Church Terrell, Die Fortschritte der farbigen Frauen, and the International Council of Women’s Congress in Berlin, Germany,1904” in Forging Bonds Across Borders: Transatlantic Collaborations for Women’s Rights and Social Justice in the Long Nineteenth Century, eds. Britta Waldschmidt-Nelson and Anja Schüler. German Historical Institute Bulletin Supplement 13 (2017): 93 -107.